A series of paintings by local artist and teacher Landon Peters, inspired by the desire to capture the northern landscape and rugged beauty and vastness of the Canadian Shield. Cost: $100.00 (GST included) Would you like to get in shape while having fun. This class will give you an amazing cardio workout! You'll be sweaty and exhausted, but smiling!!! Come and take part in our Bollywood exercise class! Registration begins on Monday December 17 at 9am To register: City of Yellowknife Program Registration By registering in any City of Yellowknife program, you are agreeing to have your image taken, recorded, stored and reproduced. Please advise the photographer in advance if you do not wish to be photographed. Lunch hour Yoga Feel relaxed and energized as you go out into the rest of your day! You will create and retain prana (energy) in this class. This programs is skillfully taught by Moyra Bissell who has over 35 years of experience as a certified yoga teacher. Cost: $135.00 (GST included) Registration begins on Monday December 17, 2018 at 9:00a.m. 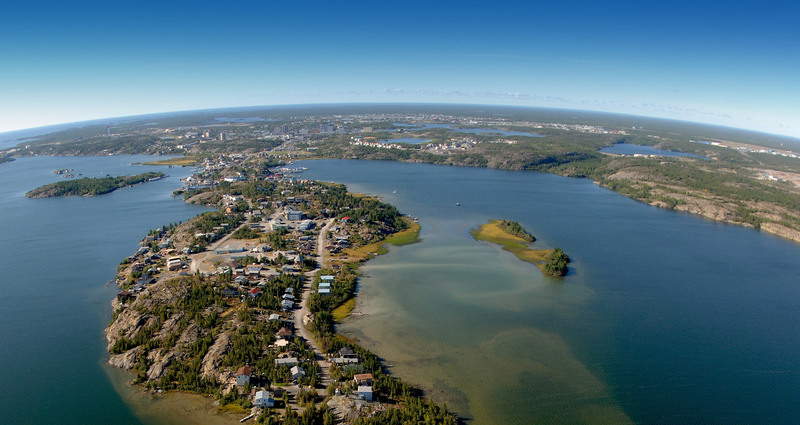 To register: City of Yellowknife Program Registration By registering in any City of Yellowknife program, you are agreeing to have your image taken, recorded, stored and reproduced. Please advise the photographer in advance if you do not wish to be photographed. Have you taken the Beginner Yoga class before or already have the basics yoga and would like to continue on, this class is for you. Classes are challenging and fun. Classes are taught by a certified instructor with over 35 years teaching experience. Cost: $185.00 (GST included) Registration begins on Monday December 17, 2018 at 9:00a.m. To register: City of Yellowknife Program Registration By registering in any City of Yellowknife program, you are agreeing to have your image taken, recorded, stored and reproduced. Please advise the photographer in advance if you do not wish to be photographed. Hatha Yoga is an ancient system of healing, toning and rejuvenating the body. It includes active physical postures and relaxation techniques. The benefits of Yoga include increased flexibility and strength along with techniques that lower stress and anxiety. Classes are challenging and fun. Classes are taught by a certified instructor with over 35 years teaching experience. This class is not recommended for anyone who is pregnant. Cost: $135.00 (GST included) Registration begins on Monday December 17, 2018 at 9:00a.m. To register: City of Yellowknife Program Registration By registering in any City of Yellowknife program, you are agreeing to have your image taken, recorded, stored and reproduced. Please advise the photographer in advance if you do not wish to be photographed.